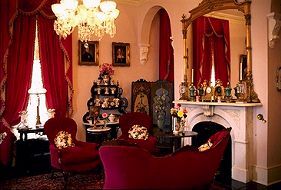 Natchez invites the lovers of history and the romantic traditions of the Old South to step into the past for an enchanted visit. This antebellum home, which is listed on the National Register of Historic Places was built in 1858. It is situated on the Bluff overlooking the Mississippi River, which can be seen from all the bedrooms. It is beautifully decorated in period antiques. All rooms have private bath - Cable TV - AAA 3 Diamond Rating. This and other Natchez Bed and Breakfast Inns can be found here in The Register.